If you are looking for a minimalist lamp for any corner of your home, with Sininho by Galula you have found what is perfect for your needs. 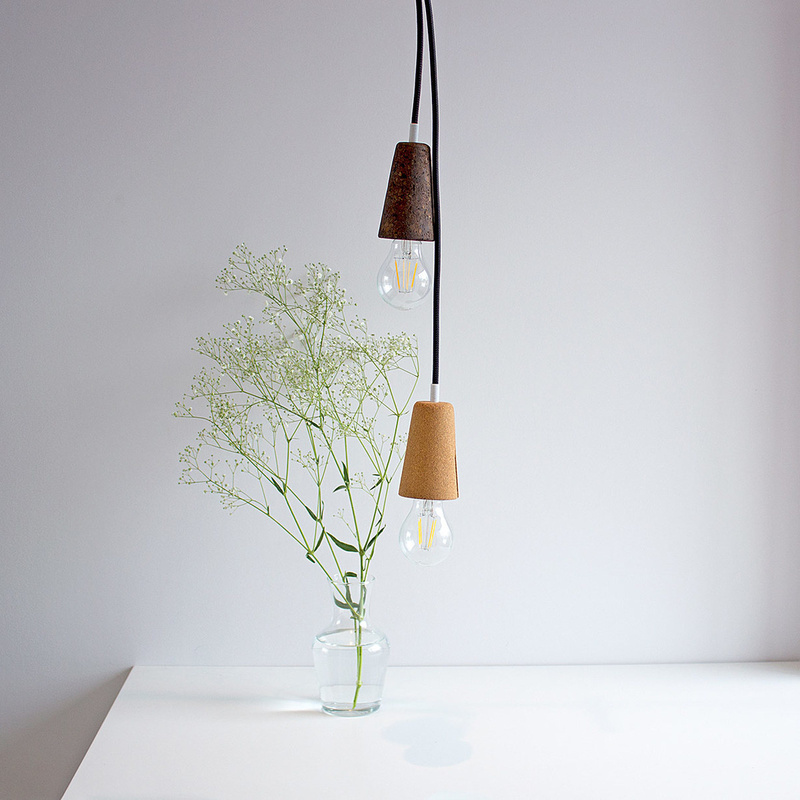 Sininho is a pendant lamp designed by duo Mendes Macedo and manufactured by Portuguese brand Galula, an established maker of high quality designer items for the home. 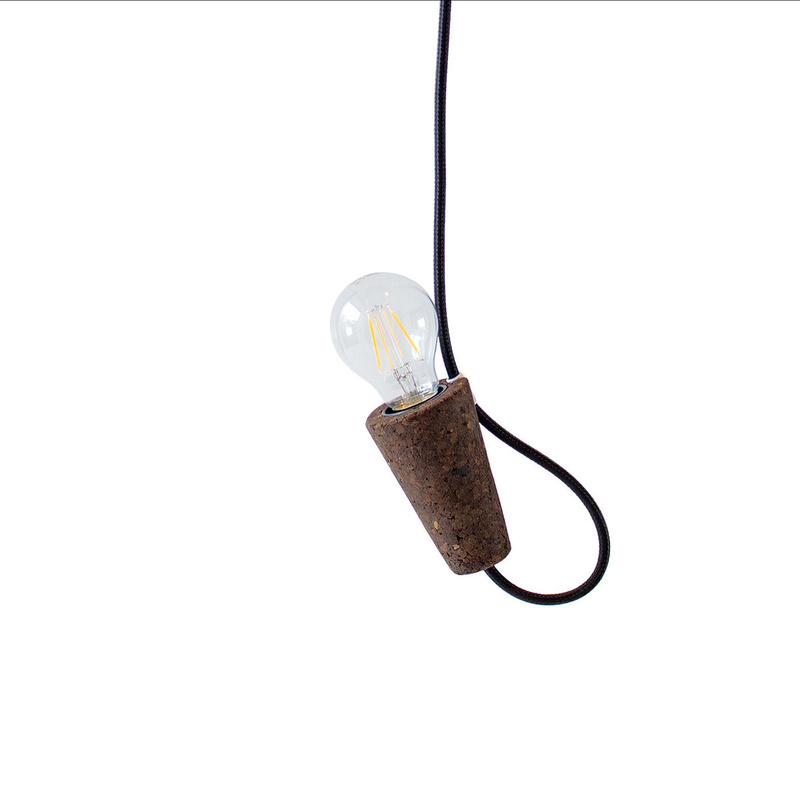 The unique feature about Sininho is that it's made of high-density cork, a sturdy, durable, sustainable material that will last for many years to come. Thanks to Sininho, your home will benefit from an extraordinary design while protecting the environment and the health of our planet. 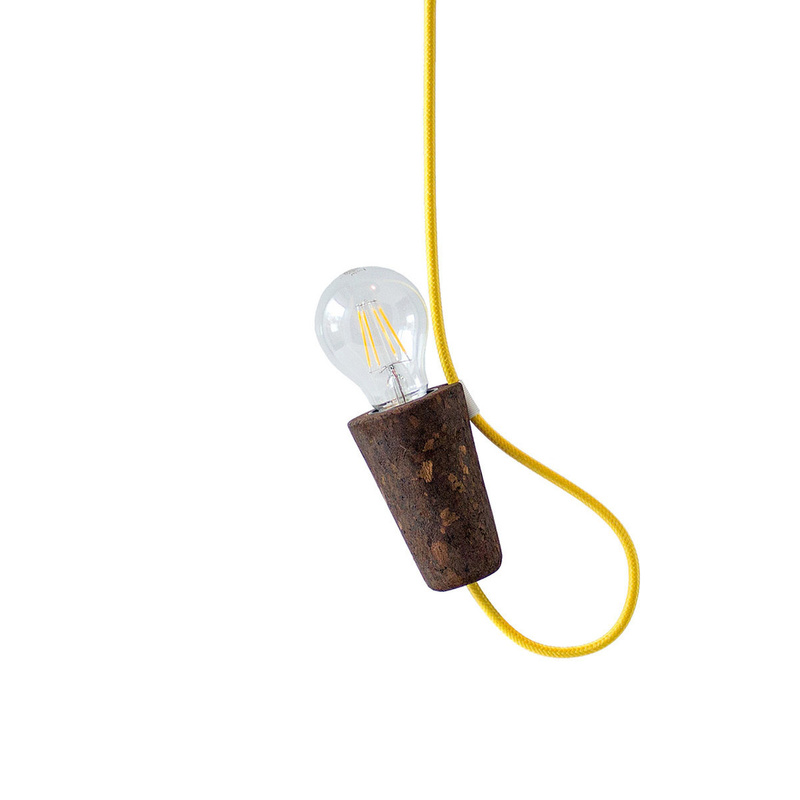 This suspension lamp is also available online in a lighter shade of cork. 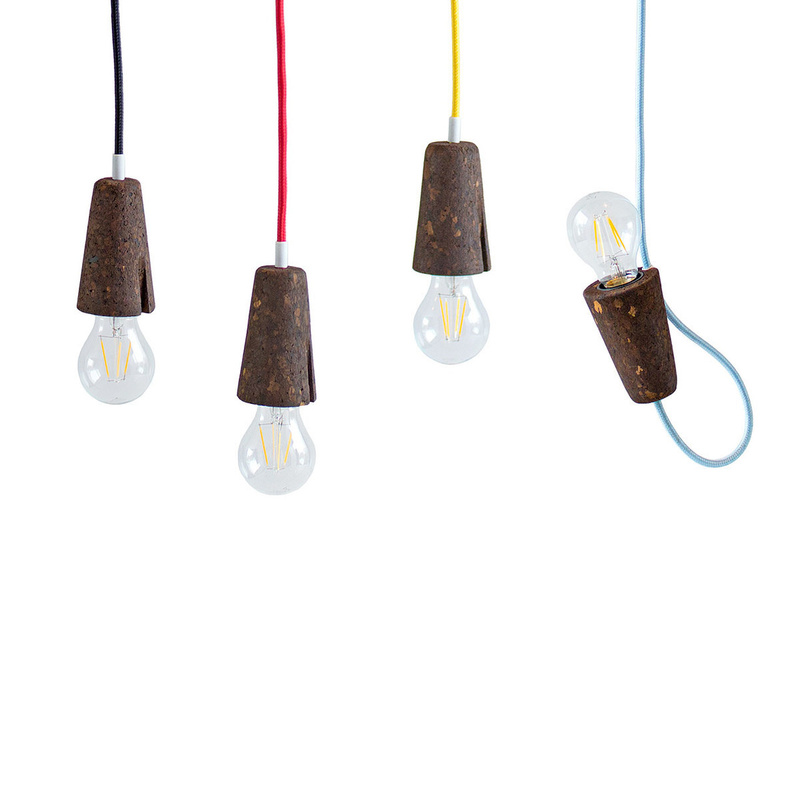 You can choose from a wide array of attractive colours for the cord, with an approximate length of 190 cm. Pick your favourite shade between blue, yellow, black or red. Sininho looks wonderful when used individually, for a spotlight effect, and looks even nicer when grouped in a cluster. The key feature to Sininho is a narrow vertical slit where the power cord fits firmly, so that you can decide to tilt the light bulb upwards too - such a clever trick to a major upgrade! This way you can direct the light in the chosen direction and vary the mood of your rooms according to your mood and needs. Downlight is ideal for reading or writing, or when eating if placed above a dining table. Uplight, on the other hand, will add ambiance lighting to your rooms. 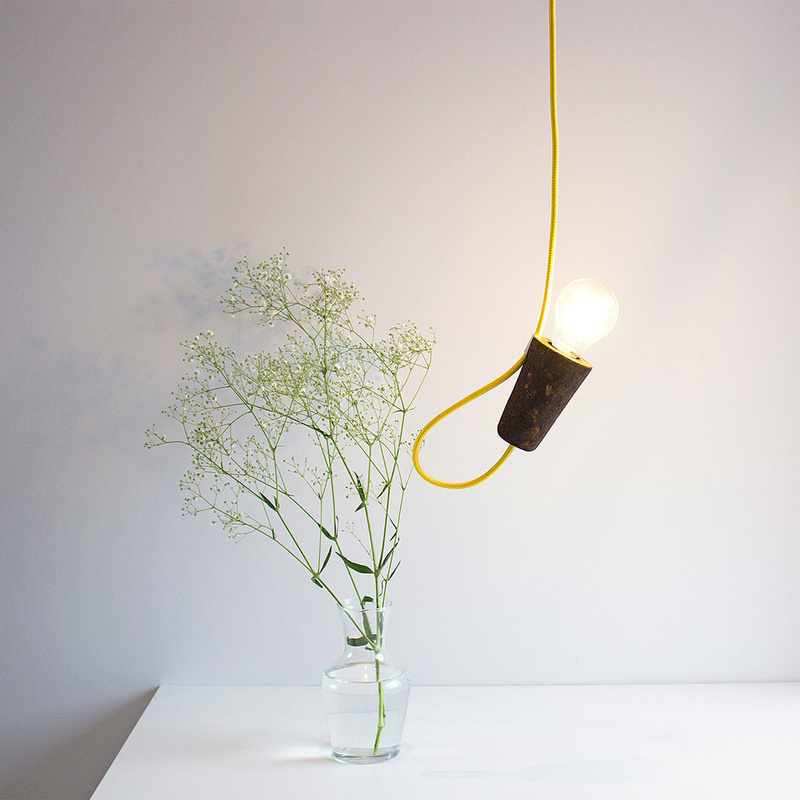 It's so handy to have both effects with one simple bulb lamp, isn't it? 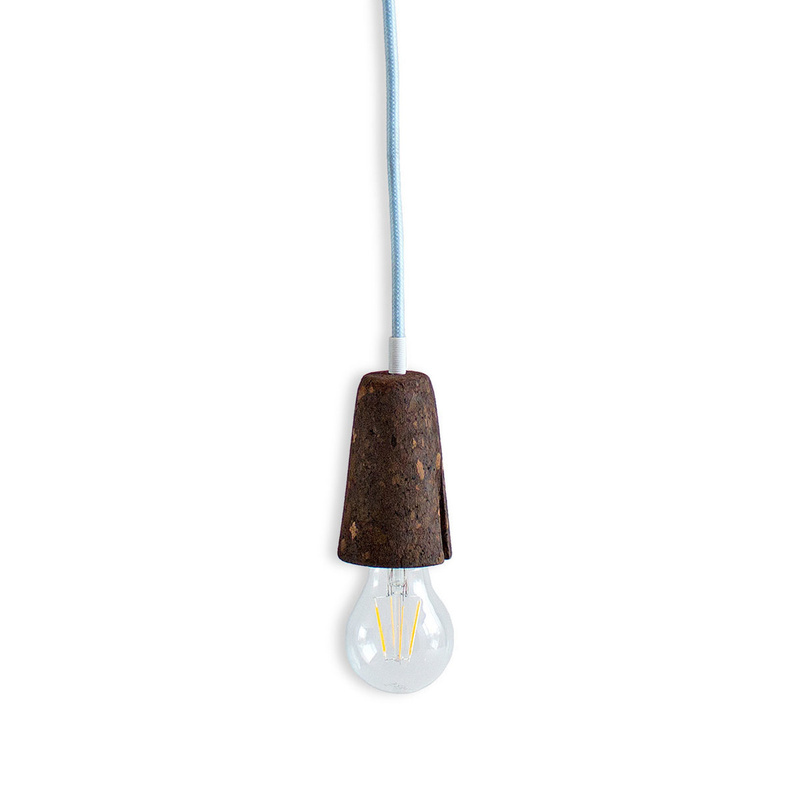 A specific LED filament bulb is sold separately and completes the look of this dazzling pendant lamp by Galula. You can find the whole Galula collection on sale online on LOVEThESIGN. Galula is a reflection of the personalities of Filipa Mendes. The two designers have teamed up to give a fun and happy character to the everyday objects. In 2011 they started to sketch and have ideas for pieces and products they imagined for their homes and their friends homes. 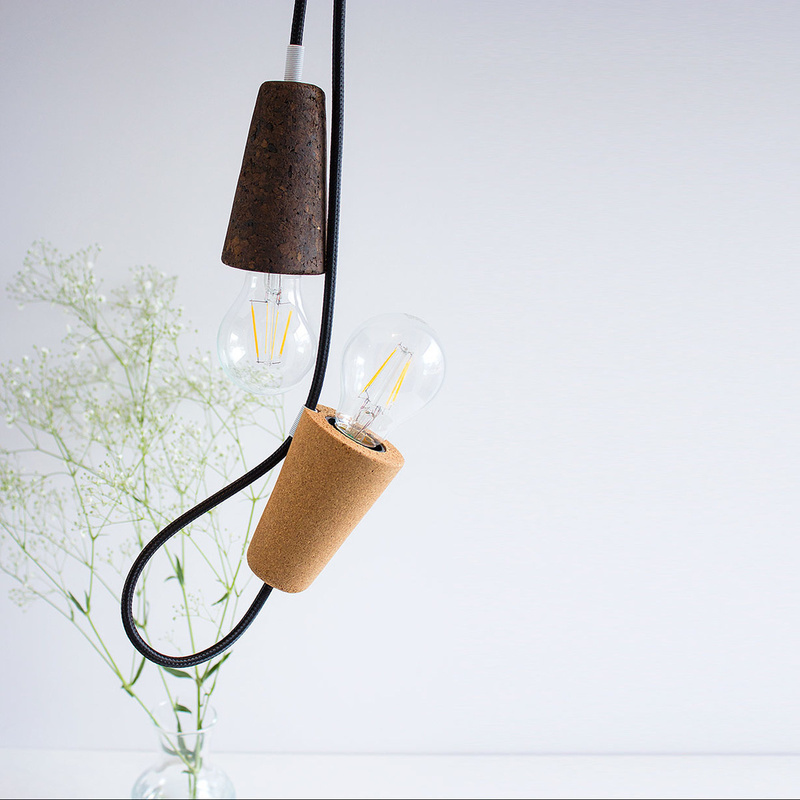 They passed the ideas into practice and decided to explore the good furniture industry and production of Portuguese cork. They created the Galula Brand. Galula is the Portuguese word for something tasty to eat, they don't want people eating the pieces, but instead create a huge appetite for them! The motivation is the smile and the happiness of the people. 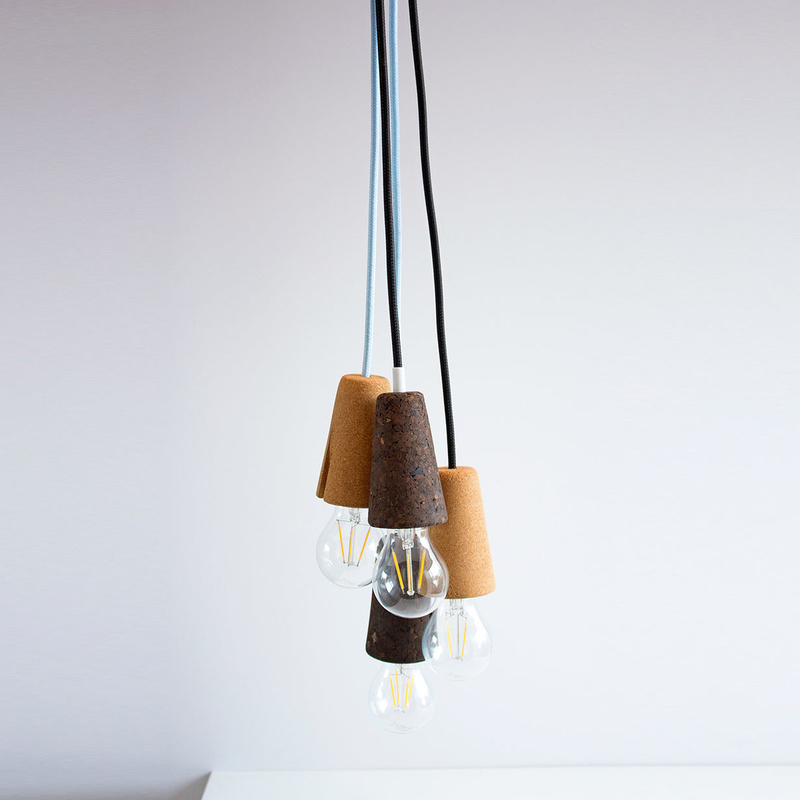 They want to prove that beyond functional design can be fun! Follow the Fun-ction is the motto. 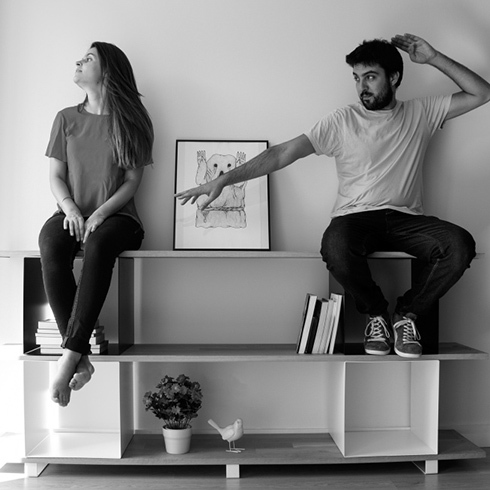 Galula is the Portuguese word for "tasty", and it indicates the huge appetite for good design that its founders want to stimulate in their customers. 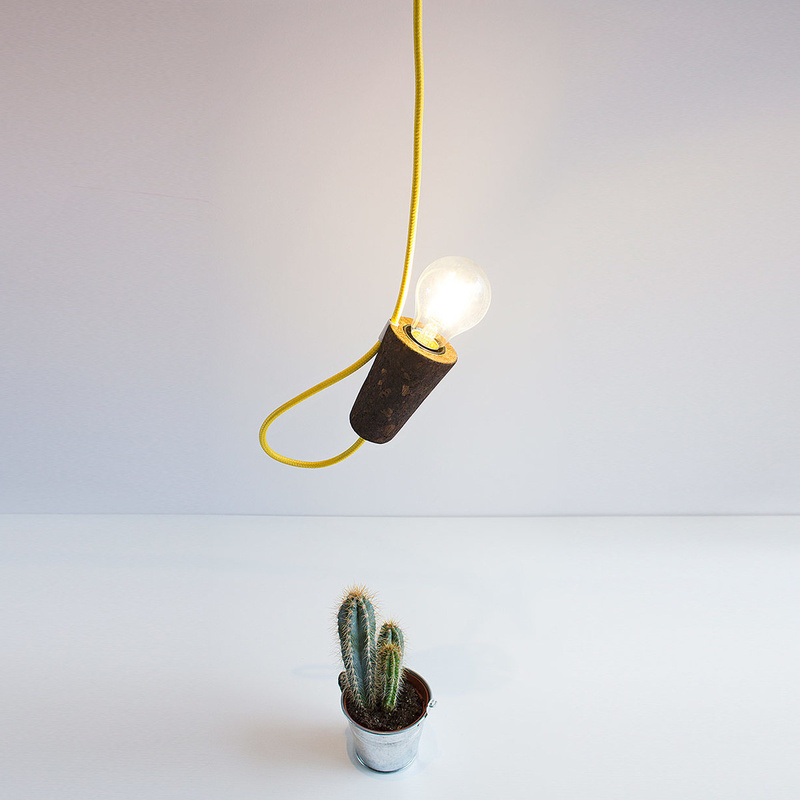 Galula wants to bring smiles and happiness through objects that are both fun and functional. "Follow the Fun-ction" is the motto of this brand! All products are designed and produced in Portugal.